A great little video we found on YouTube showing how to go about brushing your dog’s teeth to help maintain healthy gums and prevent peridontal disease. Italian Greyhounds should have their teeth brushed every day to help keep their teeth and gums healthy. See the Grooming and Maintenance page for more info about the basic grooming required by our beautiful breed. 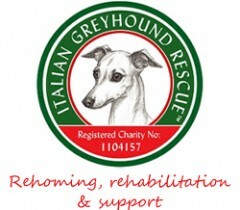 You may also find the Caring for an Italian Greyhound section useful.